Yes, that’s two. Even though you can only see one. The second one is hiding quite well behind the one in front. Taken on a walk from Bruichladdich to Kilchoman distillery. 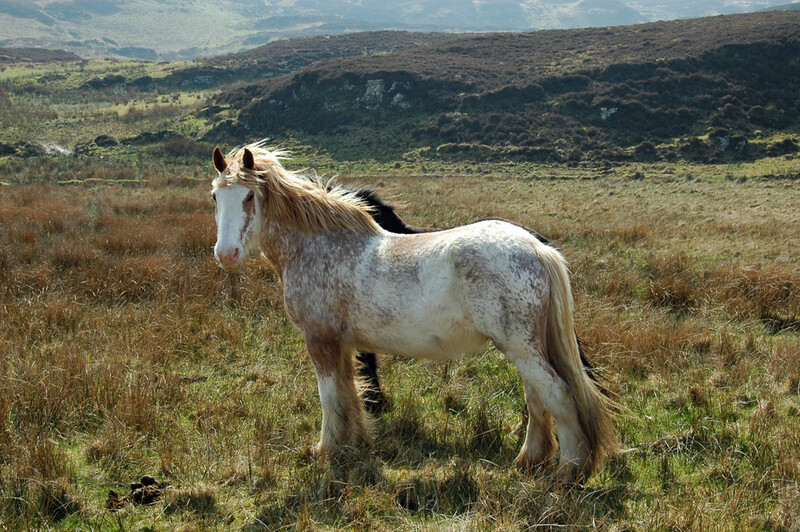 This entry was posted in Landscape, Repost, Sunny Weather and tagged horse, Islay, Kilchoman, Rhinns of Islay by Armin Grewe. Bookmark the permalink. Real blast from the past! This horse was called Herbie and we lost him from old age several years ago, lovely to see him again. Yes, the picture is a bit older. Good to hear it brings back some good memories!